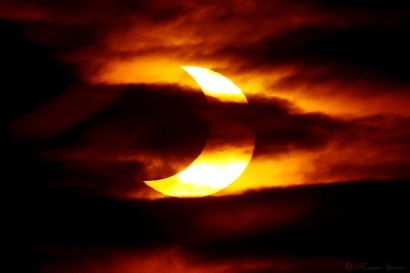 SOLAR ECLIPSE: We have our first New Moon of the year which happens to also be a Solar Eclipse (15 deg Capricorn). On top of that Uranus is stationed direct, which means after some months going retrograde he’s about to start going forward again. This will mean that for the next 2 months ALL planets are direct. If you’ve spent the past week still in holiday mode, this Solar Eclipse might feel like the ‘real’ New Year, kickstarting your momentum and forward drive for the year ahead. Many people will choose Jan 7 (which is also the Orthodox Christmas in the old calendar) to set their intentions for the year ahead, start new health and fitness routines, feel an urge to change jobs or geographical locations or change something around the home. Because Uranus is involved, some of these changes will be totally unexpected and have a real “what the!” feel about them. Capricorn is all about tradition while Uranus is all about stirring things up, dye-ing your hair pink and doing things other people might think are unconventional. This Solar Eclipse will trigger a year of claiming and creating YOUR own unique version of tradition and solid foundations. Maybe for you that means selling up and travelling the world. Maybe it’s leaving a safe job for a more fulfilling one. The element of emotional wellbeing is important here: what is my emotional foundation like? Is it strong? How can I make it stronger? What do I need to do to feel more stable and secure within myself? Pluto and Saturn are also in Capricorn, so this year has a huge focus on overhauling and strengthening all your foundations: emotional, psychological, spiritual, material and financial. If not much is happening in that part of your chart then you might not have anything to report about this eclipse. However if you have a natal planet around there or an axis point (ascendant/descendant/mc/ic) or your north or south node you might be in for some big life changes. Look back to Jan 2011. Did you experience any significant life changes that year? That eclipse was pretty much on my north node and ascendant (as is tomorrow’s) so a shift in the expression of my identity connected to what my Soul really wants me to experience/learn was on the cards. Sure enough we conceived Jax that Feb and I became a mum that November. Which obviously set me onto a whole new life chapter! What this eclipse will bring who knows….it’s almost always a surprise. Eclipses often have a powerful effect over a 12 month period with the 3 month, 6 month and 9 month marks triggering related happenings. Events can also be triggered by the planets moving over the eclipse degree throughout the year. For example: In 2011 the Solar Eclipse happened in January. In February when Venus went over the eclipse degree we conceived. In March when Mars went over the eclipse degree we found out I was pregnant. The timing of things from an astrological perspective is incredible and exact. Eclipses always have a destiny feel about them: sometimes things happen that you’ve been wanting for a long time but the timing has to be just right. Sometimes they are very challenging, but they always are designed to accelerate your soul’s evolution. This entry was posted in Uncategorized and tagged all planets direct for 2 months, Dana Mrkch, emotional wellbeing, love, new moon, overhauling foundations, solar eclipse, totally unexpected changes, Uranus goes direct. Bookmark the permalink.